WLAN überall? Also ich meine...überall! Google installiert "project loon" in Indonesien. 20.000 internetfähige Stratosphärenballons sollen die schlecht erreichbaren Inselregionen mit wlan versorgen. "The 12-metre tall helium-filled balloons fly in the stratosphere at altitudes of between 18km and 25km - twice as high as aeroplanes. Each balloon can provide connectivity to an area of around 40km in diameter using LTE wireless communications. 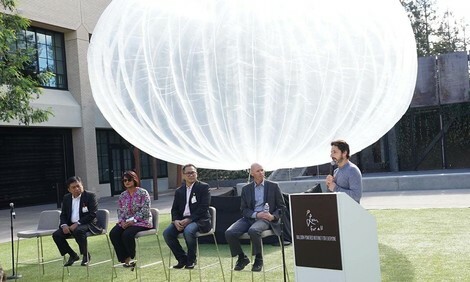 People on the ground can connect to the wireless network using their mobile devices and the balloons will relay the traffic from those devices between each other and eventually back to the global internet using high-speed links." How do you connect a country made up of 17,000 islands to the internet? That's the huge infrastructure challenge faced by Indonesia, and one that Google hopes to address using its high altitude 'Project Loon' balloons. Spannend. Ich hatte in Indonesien besseres Handynetz als in Deutschland mit meistens 4k. @Marcus von Jordan Leider noch nicht. Danke für den Artikel. Ich bin ganz bestimmt kein Fan von jenem Unternehmen. Trotzdem habe ich mit +1 gewertet, weil ich die Information für relevant halte. Danke - wir ändern das wording von "deine Meinung" in "Relevanz"!